As governments prepare to meet at the UN General Assembly to discuss progress on the Sustainable Development Goals, Ericsson (NASDAQ: ERIC) today announces another set of solutions to help bridge the digital divide and bring mobile broadband coverage to the remaining three billion people who are underserved or without mobile broadband access. The new suite of solutions, which includes software and hardware additions to Ericsson Radio System, provide the capabilities needed to reduce the total cost of ownership by up to 40 percent when rolling out Ericsson's total site solution for mobile broadband, making investments in low-ARPU markets viable. To complement deployment of the solutions are new unique mobile broadband tools, which allow operators to identify which sites in a GSM/EDGE coverage area have the highest number of users who already have internet-ready devices. Operators can then determine where it makes more sense to convert those sites first to HSPA or 4G/LTE, so that the greatest number of people will enjoy the benefits of mobile broadband. The Broadband Commission for Sustainable Development, co-chaired by ITU and UNESCO, has championed the vital role that ICT (Information and Communication Technology) plays in laying the foundation to achieving the UN Sustainable Development Goals, and its new report to be launched later this week highlights that the digital divide is shifting from basic telephony to internet. The Broadband Commission estimates that it would cost 450 billion USD to bring the next 1.5 billion people online. Arun Bansal, Head of Business Unit Network Products, Ericsson, says: "These are among the most important additions to our product portfolio for mobile broadband coverage growth ever. Ericsson supports the International Telecommunication Union's Connect 2020 target of ensuring that more than 50 percent of people in the developing world are using the internet by 2020. In order to reach this goal, together we will need to connect roughly 500,000 new users to the internet each day. Ericsson continues innovating so that operators can create viable business even in rural or off-grid settings, and to make the most difference with every investment." Daryl Schoolar, Principal Analyst, Intelligent Networks, Ovum, says: "These innovations address investment pain points while also considering the current situation and environment of many of these builds. Ericsson is unique in their multifaceted approach and focus on spurring mobile broadband adoption in these developing markets." The new solutions address the significant divide in internet adoption between developed and developing countries - only four out of ten people in developing countries are connected to the internet and about 15 percent of the world's population do not have access to electricity - and the innovations follow a trio of solutions for developing areas unveiled in February this year: Flow of Users, Zero Touch and Mobile Broadband Expander. Operators around the world see the ability of these newly announced solutions to fill their needs. Mr. Rajesh Singh, President, Corporate Network Planning, Idea, says: "India is a very diverse market so our greatest need in challenging areas is to complement the existing GSM networks with WCDMA and LTE access. We see the Radio 2219 and Psi Coverage as important assets when we extend mobile broadband coverage across the country." The new suite of solutions consists of: Ericsson Site Manager software paired with Ericsson Site Controller, Radio 2219, Antenna Integrated Radio, AIR 2488, MINI-LINK 6363, MINI-LINK 6651 indoor unit and new additions to the Ericsson Enclosure family. It also includes new software enhancements to both the Zero Touch WCDMA and Flow of Users solutions. For detailed information about the new solutions, please see the product information attachment. 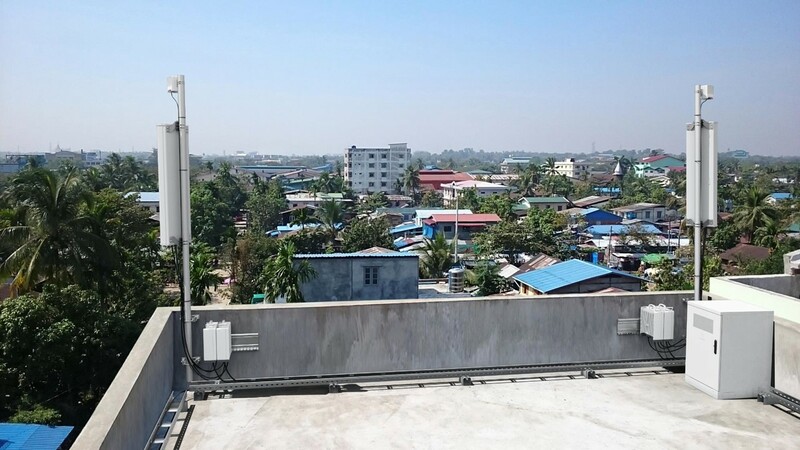 Ericsson radio site solution for developing markets, including newly launched Radio 2219, GSM + WCDMA, rail mounted on the wall, MINI-LINK 6363 and Enclosure 6130.